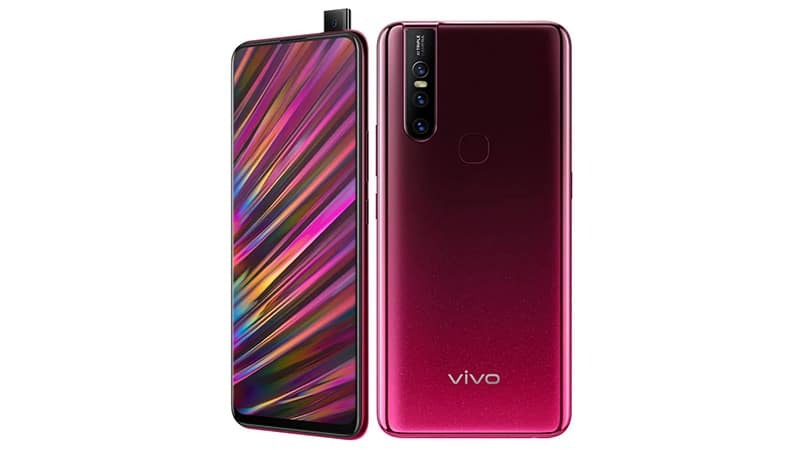 Consumers can purchase Vivo V15 in glamour red, frozen black and royal blue colour variants on Vivo India E-Store, Amazon.in, Flipkart.com, Paytm Mall, Tata CLiQ and all offline channels pan-India at Rs 23,990. For consumers purchasing the device offline, there is an exchange buyback offer up to Rs 10,000 with Bajaj Finserve, zero down payment with Bajaj Finance EMI option for 7 months, five per cent cashback on SBI Credit/Debit cards, five per cent cashback on all credit card down-payment (lowest EMI option of INR 1,599) with HDB, zero down payment for eight months with IDFC First on paper finance and additional benefits worth Rs 10,000 with Jio. For online, the company announced Rs 2,000 off on exchange on vivo India E-Store, Amazon.in, Flipkart.com and Paytm Mall. Additional Rs 1,000 loyalty benefit on Flipkart.com and Amazon.in when you exchange your old vivo device and up to 12 months No-Cost-EMI and up to 18 months with 25 per cent upfront payment on select E-commerce platforms. Vivo V15 offers a 32MP pop-up camera offering Ultra FullView display achieving a 90.95 per cent screen-to-body ratio. The smartphone sports a triple rear camera setup with 12MP Dual Pixel Sensor (24 million photosensitive units) + 8MP AI Super Wide-Angle Camera + 5MP Depth Camera. The camera is also equipped with features such as AI face beauty feature that helps add an additional level of detail and finesse to self-portraits. The screen of V15 is protected by fifth-generation Corning Gorilla Glass. The smartphone is powered by the Mediatek P70 processor with 6GB of RAM and offers 64GB storage. The V15 runs on Android 9.0 and Funtouch OS 9 to optimise energy management and deliver a better phone usage experience. Furthermore, the smartphone houses a 4,000mAh battery and vivo’s Dual-Engine Fast Charging which ensures greater usage and quicker charging time to keep you on the go.